The entry testing for admission to the various military special forces like the British and Australian SAS and the Navy SEALS and Deltas (presumably) is rigorous and demanding. Functional fitness for these special forces roles requires physical strength and endurance, plus an extraordinary level of psychic ability as well. 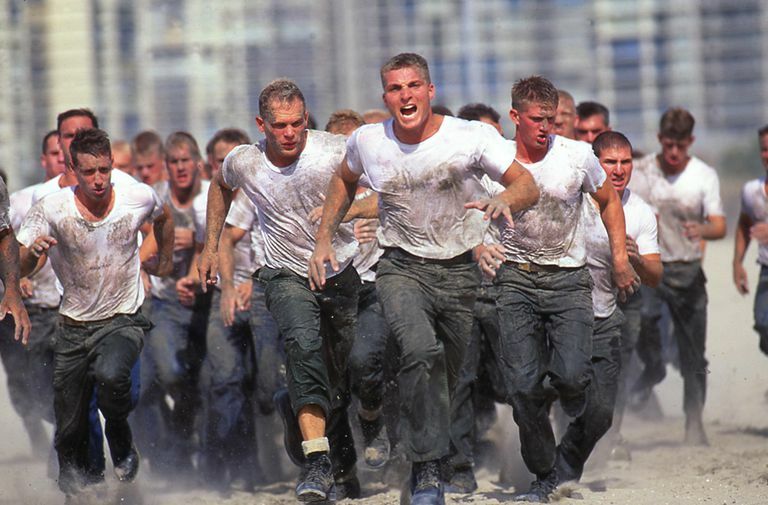 This article provides an overview of the physical fitness and training requirements and standards that you should target in order to be ready for selection testing for these military forces. You should request information from the units themselves to avail yourself of the most relevant fitness and entry qualifications for your application. This article can only be a summary of broad principles and practices. High-level fighting forces like the U.S. and U.K. Marines, the U.S. and British paratroopers, Australian commandos and various others are known for their exceptional standards of physical fitness. However, covert forces, often operating in small groups or alone over large distances on foot, and from the sea and air — SAS, SEALS, and Deltas for example — often require additional skills and psychic profiles to be successful. Below is a range of fitness standards that should prepare you for elite special forces selection physical challenges. Many applicants will be fitter than this, and you would be wasting your time if you are not close to these abilities, although different forces have different emphases. The strategy is to be fit enough so that you don't fail the physical challenges. Save your energy for the psychological and mental challenges that are estimated by some as 60 percent of the selection process. The recent Australian documentary SAS: The Search for Warriors, took us inside Australian SASR selection testing of 130 men (less than 20 percent made it through). One of the first tasks was a pack walk of 20 kilometers (about 12 miles) with nearly 30 kilograms (about 66 pounds) of pack and equipment in under 3 hours 15 minutes. This needs to be done at around 6.5-7 kilometers an hour walking/jogging pace to be comfortably under the time limit. This should not be too difficult a task for a fit young soldier or fit applicant soldier. Those who dropped out at this stage were not physically prepared. Swim two kilometers in 40 minutes. I've put the list together from my experience — reserve military experience but not special forces — and a LOT of trekking and hiking with full packs plus marathon and triathlon and weight training experience over many years. If you can reach the fitness standards above, you should have excellent upper and lower body strength and endurance, and aerobic fitness. You should not have too many problems with the raw physical fitness aspects of SAS, SEALS, and other selection or training protocols. Whether you meet the psychological requirements, including sleep and food deprivation etc, is another matter. Many will fail at this as we saw recently on the brilliant television series on Australian SASR selection testing. One reason for including a full marathon in this training is for the experience of heavy fatigue that goes with three hours or more of high-level physical exertion without rest. Even so, your ability to run well at this distance may be limited by muscle fiber type; fast-twitch sprint and power fibers are less suited to these long endurance activities. This could be a limiting factor in being successful at special forces selection or training. But don't be discouraged; fast fiber types can be trained to endure, and speed is always useful. Stick with it. Distributing your training between endurance activities and strength training will be a challenge because each type has a tendency to develop specialized physiology and biochemistry. You will need to make the best compromises possible to be proficient in both. Too much bulk and under-developed aerobic capacity will slow you for demanding endurance activities like long pack marches; and too little upper-body muscle and strength will limit your ability to cope with rope, climbing, swimming and general upper-body strength work, including hauling heavy packs and equipment. Lower body. Running, especially hill running and fast intervals, will give you good leg strength. You can supplement this with a regular squat and deadlift workout, which will develop core and lower-back strength too. Upper body. You need to develop the back muscles, especially the lats (latissimus), the shoulder (deltoid) muscles, and the traps (trapezius) across the top of the shoulders. Naturally, you cannot ignore the big arm muscles — the biceps and triceps at front and back of the upper arms. Below is a list of weight training exercises to build that upper body and to help you do copious quantities of pushups and pull-ups. You will also do many, many standard pushups, situps, and pull-ups — to exhaustion — in a single session of multiple sets. The main message here is not to skimp on your preparation for these demanding physical selection trials. On other sites, you may see examples of 3-month training programs designed to get you appropriately fit, but 3 months is not enough time if you start from scratch. In my view, you need at least 6 months and ideally 12 months preparation, training regularly in order to develop the changes in body biochemistry and physiology that represent enhanced aerobic and strength conditioning.